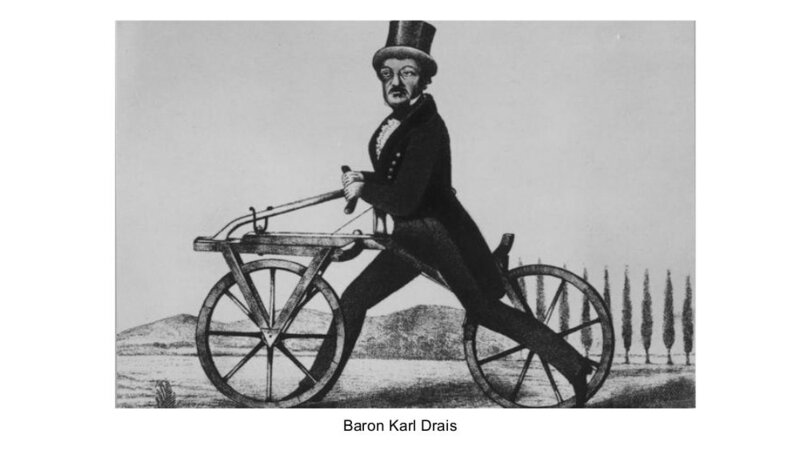 one can learn to balance such a machine while it is in motion, thus the concept of the bicycle was born. Once a person learns this skill, they never forget it. His invention became known as a hobby horse, or dandy horse. One rode it Fred Flintstone style, and in many countries for it enjoyed a brief popularity. 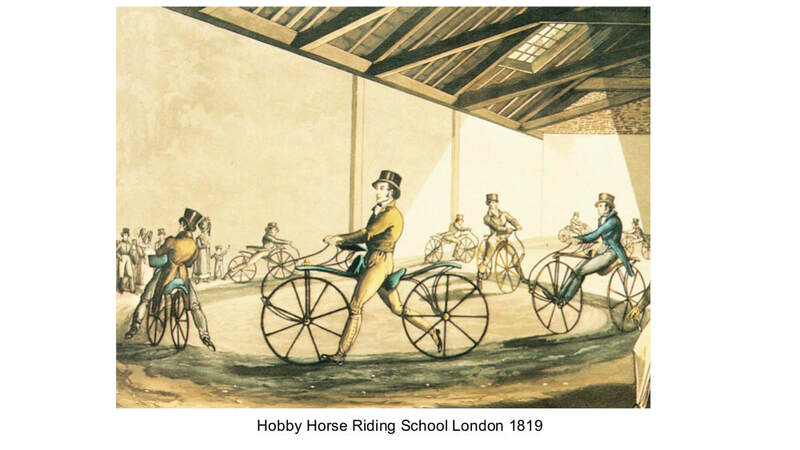 Riding schools were set up in various cities. However when people used it outdoors, the roads were so rutted they took to riding on sidewalks. In the 1820’s bans on riding a dandy horse outdoors were made in Germany, Britain, the United States and even Calcutta India. 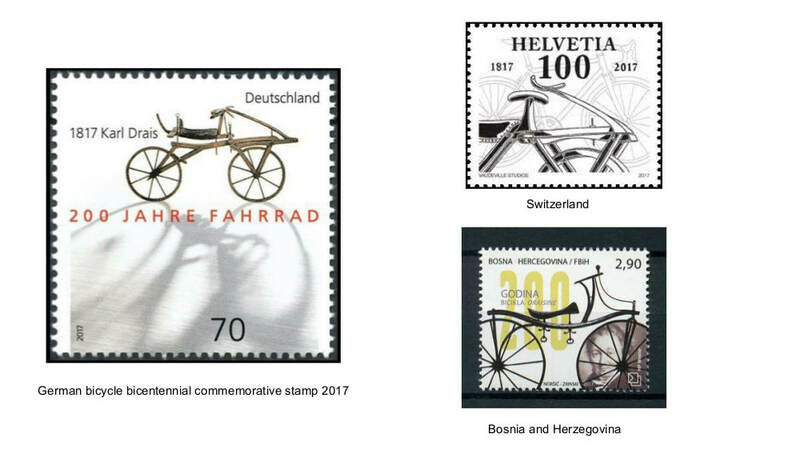 In 2017 Germany as well as other countries issued bicentennial commemorative stamps. However I am not aware of any Montreal references to these early machines.